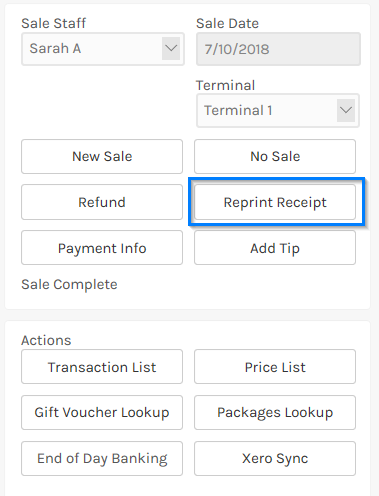 If you need to reprint a receipt for a previous sale it is very easy. 4. 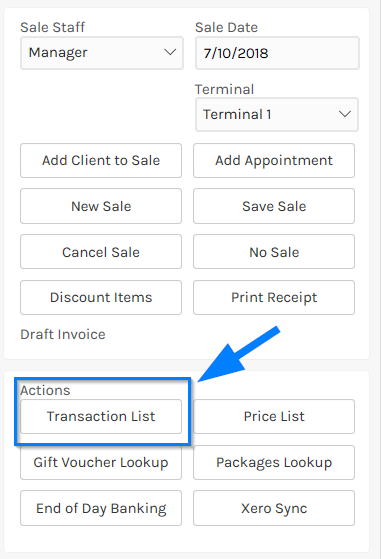 When the sale is brought up click on the Reprint Receipt button from the right-hand side options.